While meeting in Washington DC, board members had an excellent meeting with the American Red Cross leadership responsible for family assistance after an air crash. We appreciate working with them since passage of the Family Assistance Act in 1996. The Red Cross made our brochure available to families at EgyptAir 990, and they have agreed to continue to have the information available for family members. We appreciate their help in reaching new family members. Often we hear from people who have said they wished they had known about NADA/F much earlier. The support for victims’ families is an important part of our founding mission. NADA/F’s position is that family members who have been successfully trained should be utilized for support personnel to help the families short term and long term after an air disaster. 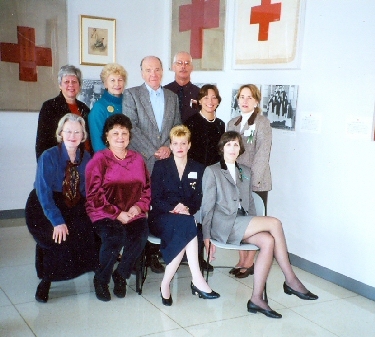 There are Red Cross regional offices throughout the U.S., and they offer different levels of services and training, depending on their size and the area. Some offer Disaster Training Classes, and some offer Public Affairs training, to help with the media after a disaster. You could check with your local Red Cross offices to see what training is available. If your Red Cross chapter has limited training, you may want to check with other offices in your region. Most important, is that family assistance after an air crash has greatly improved, and NADA/F will continue to work with government and social service agencies to raise the standards for support, plus disclosure of air crash investigation information to the families.